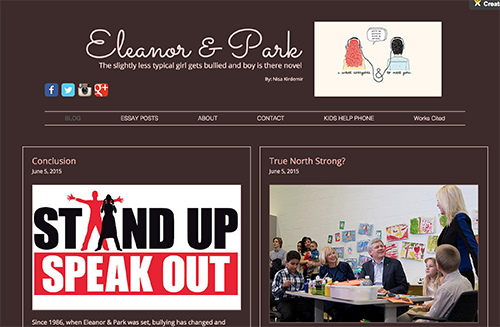 Nisa’s website, based on the book Eleanor & Park by Rainbow Rowell, takes a look at modern day bullying. 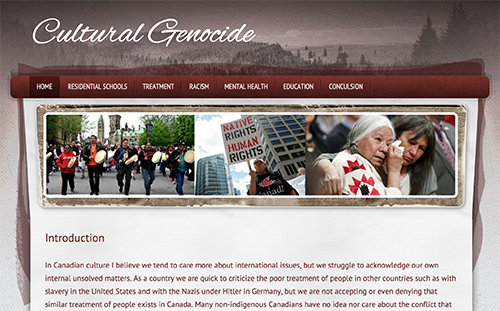 It is an engaging and comprehensive site that looks straight on at the problem. Amy Sran has produced this timely essay on Native Canadian issues after reading the book, Indian Horse. She has delved into the murky Canadian past of attempted assimilation of the native people through any means deemed necessary by the Canadian government. The LINK IS HERE. Brittannie has created a comprehensive website about depression that discusses the medical and social aspects of the disease. She has also included a documentary that she produced on the site. 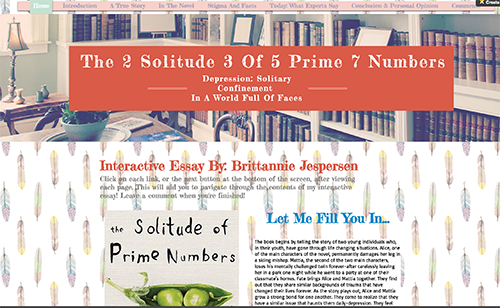 Caitlin’s website is a compelling, engaging work that discusses the idea of memories. 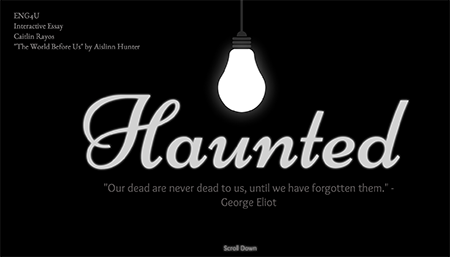 She talks about Aislinn’s Hunter’s book, The World Before Us through this lens, but is able to make it personal and relevant to us. Do our memories of our past help or hinder our growth as an individual? Bushra considers the clash between religion and culture in this thought provoking essay, based on Ayad Akhtar’s book American Dervish.